Android emulators have become increasingly fashionable in recent years. This isn’t surprising since they’re easy to access and they offer the perfect way of benefiting from the range of Android apps directly on your computer. Keep reading for our list of the best Android emulators on PC. Bluestacks is the most mainstream of all Android emulators. There are several reasons for that. For starters, it's compatible with Windows and Mac. The emulator targets mobile gamers. It also includes keymapping and settings for many games installed. Next on our list is an entirely free emulator called Andy. It runs pretty much the entire gamut of the Android experience including productivity apps, launchers, games, and you can even install root access if needed. Andy is also compatible with Mac. Droid4X markets itself towards gamers and boasts support for simpler, casual games. However, like most Android emulators, you can do productivity stuff if you want to. Droid4x is also Mac compatible. 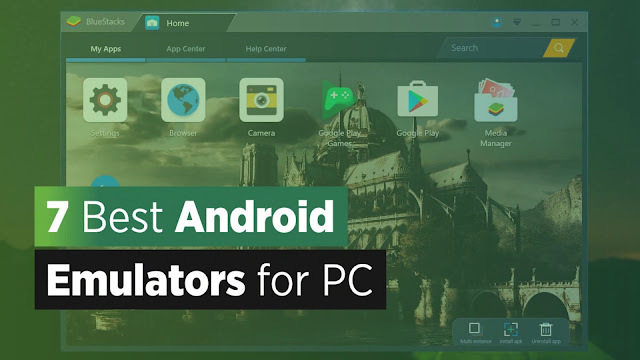 KoPlayer is a newer Android emulator for PC. Its main focus is for gaming. You'll be able to use keymapping to emulate a controller with your keyboard. Players will also be able to record game play and upload it wherever they want. Nox is another Android emulator for PC gaming. That includes utilities that are specifically catered to helping gamers. MEmu's biggest features is support for both AMD and Intel chipsets. Additionally, it supports Android Jelly Bean, Kit Kat, and Lollipop. Like many, you can use this for pretty much whatever you want. Remix OS Player by Jide is one of the newer Android emulators for PC. It's the only one that runs Android Marshmallow instead of Lollipop or Kit Kat. There's a sidebar with customizable options for you. The only main caveat is that it doesn't support AMD CPUs.